Water is extremely important for our survival but bottled water is easily one of the biggest scams in the world today. While you might think you’re getting good quality clean water, a lot of the time you’re getting exactly what you’d get from the tap. While the bottle might have pictures of mountains on its side, that does not mean its contents came from anything of the sort. 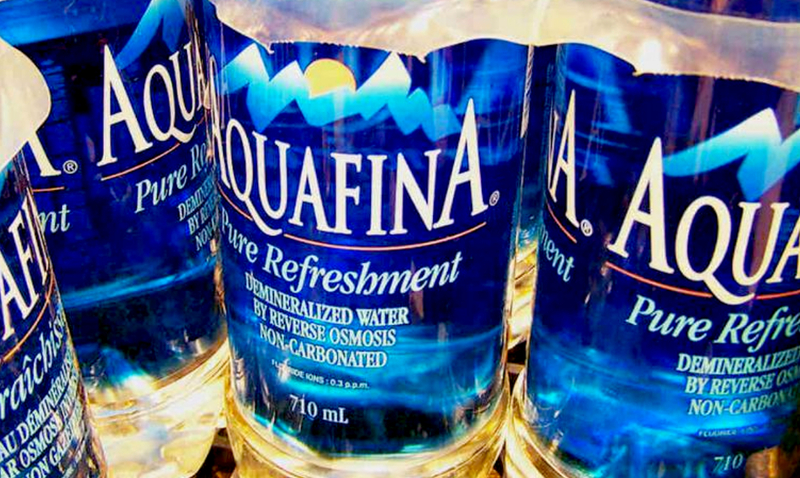 We have known since 2007 that Aquafina was just tap water and yet people still buy it. Back in mid-2007, the brand’s owner PepsiCo made it clear that they sourced their water from the same place that tap water comes from. According to ABCNews, at that time they even ended up labeling their bottles as PWS which means public water source. That change noted above only being due to the pressure applied by a group known as the Corporate Accountability International. It is also important to note that Dasani’s website states their water comes from local water supplies as well but that it is filtered. While these companies assume and ‘say’ that they don’t think their consumers are confused about the source of their water it is quite clear that the consumers are. You can ask anyone about where they think the water they’re drinking comes from and get a wide range of responses with most likely none of them being assumed as public water sources. We pay about two thousand times more for bottled versions of the same water we bathe in and wash our hands in. When you think about it like that drinking straight from the tap doesn’t sound so bad, does it? Why pay so much for something you already have at home for a fraction of the price? It has actually been found that tap water is just as good if not better than most bottled waters. While most people might assume bottled is safer, it really isn’t for the most part. Buying bottled water is like literally pouring money down your drain according to the Food and Water Watch. Tap water is tested much more frequently than bottled water and because our drinking water is continuously monitored and treated it is much safer within reason. As the bottled water industry grows awareness of these kinds of things do not seem to grow with it. Just because bottled water is portable and convenient does not mean it is ‘better.’ Not all bottled water is what it seems, and we should work to better understand that. We are being swindled in more ways that one. We’re paying more for something we already have and creating tons of plastic waste in the process. Considering it also takes more water to make a bottle of water than it does to fill it, we’re really being far more wasteful than not. Most plastic bottles end up in the ocean or in landfills, while recyclable most people do not opt for that. They take up to 400 years to naturally decompose and are truly piling up. As Forbes noted back in 2017, we’re at one million plastic bottles per minute and about 90 percent of those bottles are NOT being recycled. Taking a few extra seconds to fill your own bottle each day might come in handy in more ways than you’d assume. We can be the change we want to see if we all work hard to make it happen.